The existing plaza is being replaced because it has a leaking tunnel full of electrical components with outdated toll equipment held together with used parts. It also is surrounded by wetlands and located on a curve at the bottom of the hill that raises safety concerns. The Maine Turnpike Authority has initiated a project that will relocate a toll plaza on the Maine Turnpike and expand it into a facility with 15 toll booths, including six E-Z pass center lanes. The $39.5 million project started in November and will be completed in June 2021. 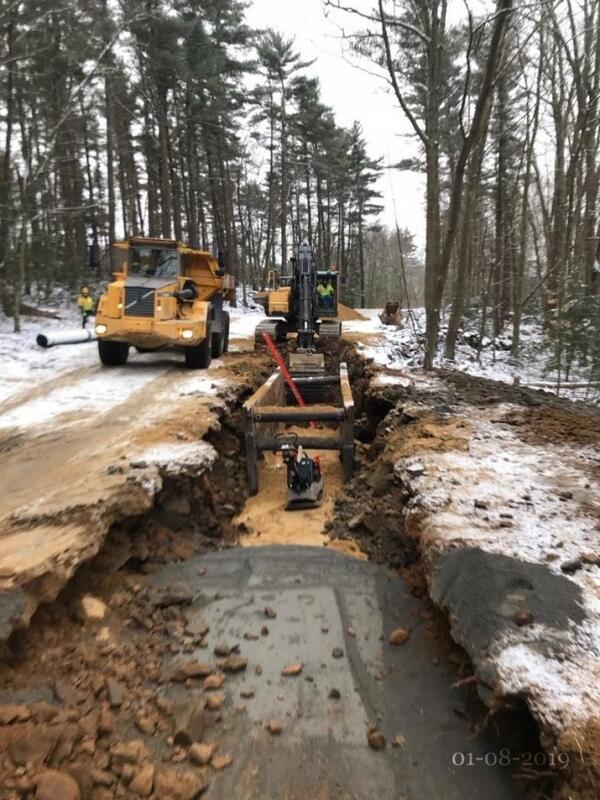 Reed & Reed, a Woolwich, Maine, firm, is the lead contractor and RJ Grondin & Sons, of Gorham, Maine, is the subcontractor. "We've started with street clearing and earthwork is under way," Brain Holmes, Reed & Reed's project manager, said. 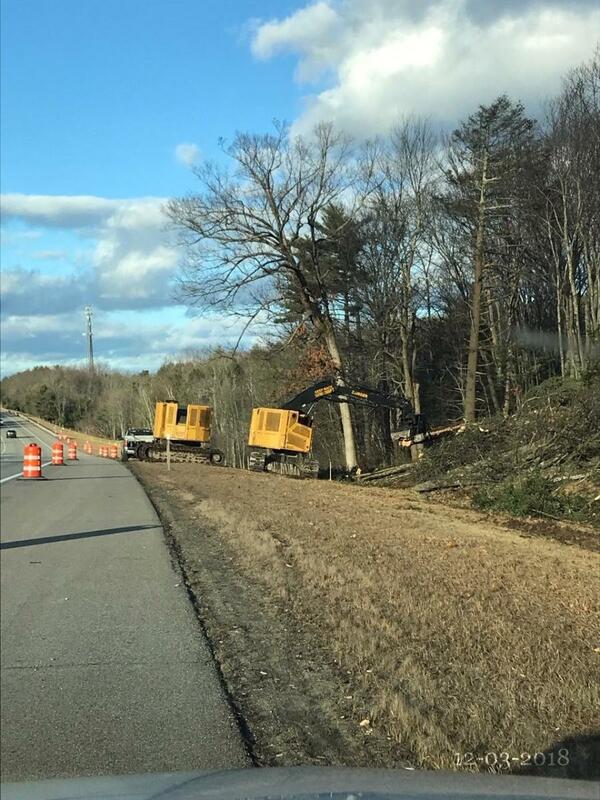 RJ Grondin does the earthwork, and has been clearing trees and box cutting the shoulder gravel, with 24 bulldozers and trucks on site. The project consists of highway, structures, building and site work to construct a new toll facility and includes earthwork, pavement, concrete, signing, overhead sign structures, concrete barrier, guardrail, mechanical work, electrical work, lighting and lightning suppression systems. The job will be completed in three phases, starting with widening of the highway that will include clearing of trees, blasting of rock, paving and utility construction that involves water, electric and tunnel construction. Phase one also includes constructing the new toll building and an access road and parking area for toll employees. Phase two includes constructing utilities and intelligent transportation systems in the tunnel, road barrier structures, concrete toll slabs and the footings for canopies inside the cash lanes. Phase three will include completion of the north and southbound cash plaza; tunnel construction; and placing final surface pavement of the north and southbound cash plazas. The toll plaza will be 15 lanes in width — five southbound and four northbound cash lanes and three in each direction for E-Z pass. 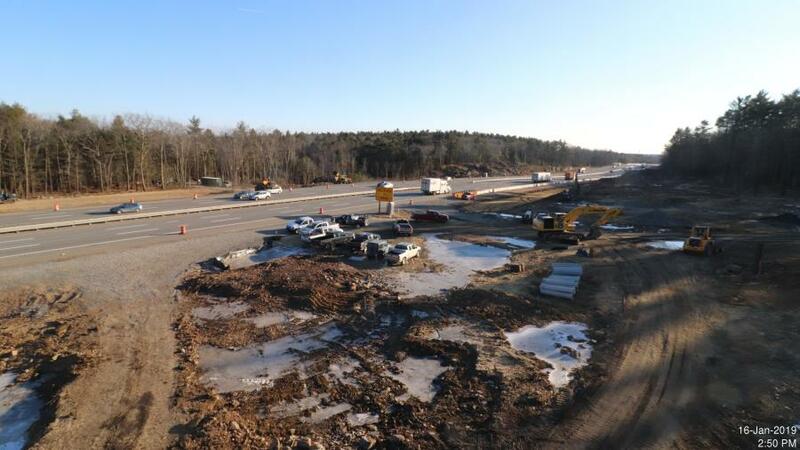 The new toll plaza will be constructed at mile 8.8 on the Maine Turnpike, a little more than a mile from the current toll booth plaza at mile 7.3. The new plaza will be located at the mile 8.8 site that can facilitate electronic tolling. Jacobs Engineering, the Boston-based design firm, determined that the plaza there would be safer, with less wetland and stream impact and provide good visibility for approaching vehicles. The cost of the project at mile 8.8 is $20 million less than it would be at mile 7.3 and would not displace any homes, with only four houses within 1,000 ft. of the mile 8.8 site compared with 47 near mile 7.3. Peter Merfeld, the chief operating officer at MTA, said Reed & Reed has started clearing and blasting the site at mile 8.8 and the water line will be moved next. He said phase one of the job will include the construction of a tunnel under the highway that can be accessed by toll booth collectors. "It will be built in phases so collectors can enter it," Merfeld said. He said the toll booth will be an 8,000 sq.-ft. building with cash booths and an open road tolling area for E-Z pass lanes. There will be a total of nine cash lanes and six open road tolling lanes. The 17-acre site features 47,000 cu. yds. of rock excavation that will be filled with 140,000 cu. yds. of gravel and 80,000 tons of asphalt. The tunnel under the highway will be 300 ft. long that supports the 4,800 sq.-ft. toll plaza. Each toll booth will be 84 sq. ft. He said 1.5 mi. of roadway will be rebuilt to shift traffic to the new toll plaza with signs and lighting installed to direct cars to the toll plaza. Merfeld said the $39.5 million contract for the new toll plaza does not include the demolition of the current plaza that will take place after the new plaza is complete. A separate $7 million contract for the demo work will be put out to bid toward the end of the project in 2021. "We will continue collecting at the existing plaza and stop collecting to initiate demolition," Merfeld said.